On Wednesday, you will consider your actions and commitments related to a child or young person. It may be a reason to for their personal holiday during the week. Wednesday will be a good day for developing your professional and business affairs and for love experiences. Conversation or meeting with a boy or a young man will bring you pleasant emotions. Your family will experience brief moments of tension, but you will always be able to find the right outcome of the situation. If you were born under the sign of Aries, Leo or Sagittarius, today your endeavors and commitments with a man will be able to achieve important success. Make the most of your opportunities on Wednesday. What you will achieve today will have a lasting meaning in your life. If you were born under the sign of Taurus, Virgo or Capricorn, today you will probably spend most of your day at home or busy with home affairs. Many will have to solve a household problem or problems with poor quality goods. Now avoid acts of trickery, as their negative impact will continue for the next 8 days. 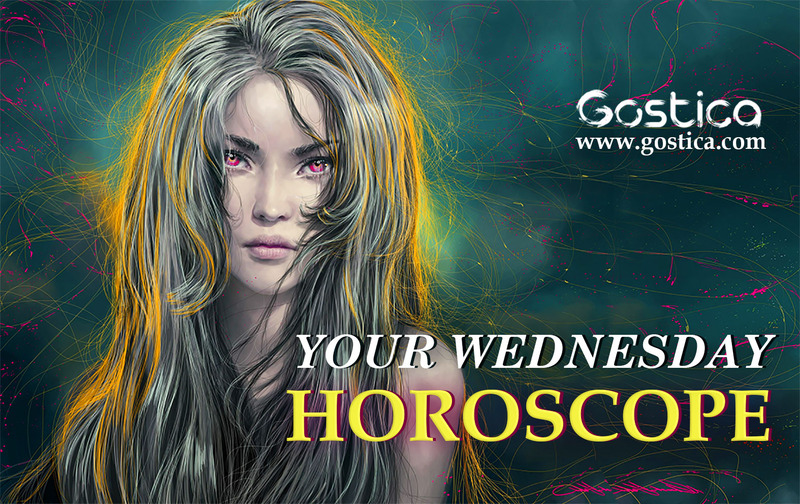 If you were born under the sign of Gemini, Libra or Aquarius, Wednesday will hardly surprise you with anything. You will generally be able to implement your preliminary plans. Conversation with a girl or a young woman can fill you with positive emotions. This will be a good day for developing your financial affairs or for receiving money. If you were born under the sign of Cancer, Scorpio or Pisces, today avoid hasty or impulsive actions. Trouble with a woman will show you your mistakes or omissions. Try to learn from this situation instead of deepening its development. You have tried to make sense of your activities these days, but you are still in confusion. In particular, personal issues will need to be addressed more frequently. There are no other reasons why you should not complete all the activities that have been assigned to you, so it is normal that someone will work to push you a bit more. You have been very careful in this last period, so now you can relax. From the professional point of view you have given all that was in your power, now you will have to reap the rewards of your work. The parsimony will lead you to be able to afford different whims, but without exaggerating. Remember that there may be unexpected expenses soon. Anyone will try to meet you, but you can not expect too much. You will bring a breath of freshness into your professional environment. Your ideas are very innovative, so it is worth expressing them without fear of being criticized. Sometimes you are too influenced by the judgment of others, which is not always good. If you believe in yourself, others will also trust you. Greater self-esteem will turn into greater results. If you are sure you can go on your way, you will not have to get rid of the small obstacles you will find. You are very active during this period, but you are struck down by small things. Everything can be overcome by force and will, which are not lacking. What you lack is a little support from the people closest to you, like your family. Try to be more direct with the people you meet today, especially if you have to face business appointments. You will not have to show ever hesitant, because you could put your interlocutor in awe. Rather, try to give an idea of determination and security, which can convince. What will happen today could affect a project you care a lot about. Try to always proceed in the right direction, because the people around you need stability. If you change your mind every five minutes, it will not be possible to count on the support of others. It is normal for them to move elsewhere. At first, you might be relieved, because the idea of working together with others does not get you excited. However, at a later time, you may regret it, because a hand is always convenient.